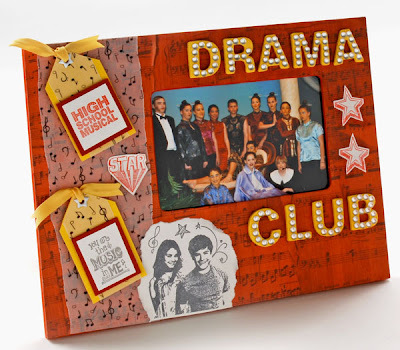 Do you have kiddos that are Hanna Montana and High School Musical crazy? If so...get a head start on holiday shopping during the Holiday Hanna & HSM Hour on QVC with me! I be featuring a huge set of rubber stamps and project ideas. Tune into QVC this Thursday (Sept 25th) at 2:00 eastern! The stamp set includes over 40 different HSM & Hanna stamps. The set comes complete with an CD case mount, 2 different ink pads (4 colors total) and an idea sheet. Perfect stocking stuffer or you can make your own gifts with this set. High School Musical 3 premieres October 24th! 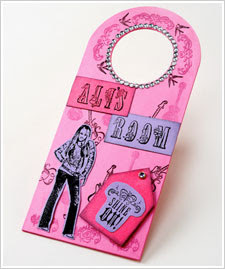 For more stamps and to check out other design ideas click here for HSM and here for Hanna.